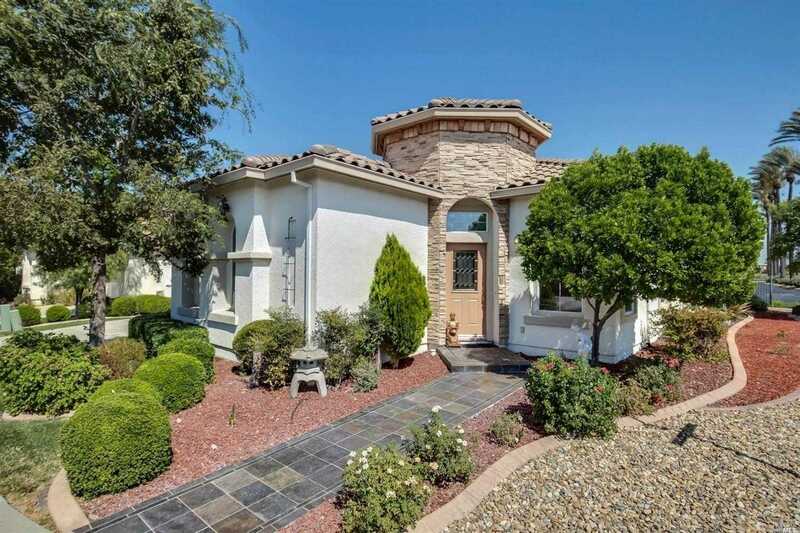 Beautifully maintained Asti floorplan with 3 full bedrooms, 2.5 baths, large 2 car garage, owned solar only 3 years old, beautiful mostly drought tolerant landscape front side and back. Short distance to the Vista Club. Many upgrades including crown molding in many rooms, granite tile kitchen counters, gas cooktop and all appliances are included. Please, send me more information on this property: MLS# 21907768 – $459,000 – 335 Canyon Spring Drive, Rio Vista, CA 94571. I would like to schedule a private showing for this property: MLS# 21907768 – $459,000 – 335 Canyon Spring Drive, Rio Vista, CA 94571.